Trinidad and Tobago football’s most valuable brothers, arguably, were goalkeeper Lincoln and “Tiger” Phillips and defender Winston Phillips who played side-by-side in the 1974 World Cup qualifying campaign when the two island republic was robbed of a place in the FIFA showcase tournament. Since then, examples of siblings who both earned national caps are sparse and, in most cases, one or both of the brothers managed less than five appearances. There are: Carlyle and Devon Mitchell, Sherwyn and Sean Julien, Anthony and Glenton Wolfe, Silvio and Silas Spann and Dwayne and Jamal Jack. If San Juan Jabloteh utility player Dwane James has his way, he will be next on the list alongside his brother and Orlando City playmaker Kevin Molino, who is the “Soca Warriors’” most creative midfielder at present. James and Molino have different fathers but grew up together in Carenage. James was first to move abroad as he left Trinidad for the United States as a 19-year-old to start a two-year football scholarship at East Central Community College (ECC) in Missouri. But his time in the US was bittersweet. He left the ECCC a year later in 2009 as he could no longer afford to pay for his accommodation. In 2010, he had a stint with Sporting Kansas City reserve team but was released a month later as the club filled its quota of foreign players. And, in 2011, a promising opportunity with A’ League club Atlanta Silverback also came to a sad end due to an angle injury during his trials. I’m mentally strong and aggressive and I have a lot of experience. What pushes you to succeed? My love and passion for the sport drives me to always push myself further. I would describe myself as a spontaneous individual. What is something most people don’t know about you? I’m a very approachable person; but some people get the opposite impression. In my free time, I’m either sleeping or surfing the internet. What was your best moment in football so far? And your worst? My best moment happened when I scored my first goal for Sporting Kansas City (reserve team). What is your target for 2014? I want to sign with a team in the North American Soccer League (NASL) or United Soccer Leagues (USL) in the United States of America. 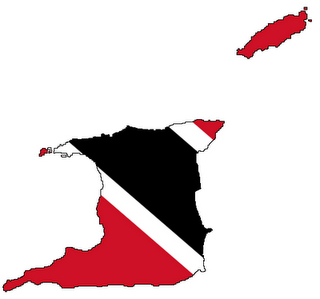 In the future, I also wish to play for Trinidad and Tobago’s senior team alongside my brother Molino. Police face and dog heart. Ah like this player, didn't know he and Kevin related. Ent Kevin related to some cricketer too? Flex, mods. I don't think that happened. Lincoln only played in the '66 qualification. He left TT in 67 or 68. He never played for TT national team again. Correct me if I am wrong. Winston was on the squad to Haiti, I believe. Kelvin Barclay was the starting keepr in 73 squad, with Gerald Figereux as the back-up. They had another brother Ian "blocker" Phillips, a forward, who played mostly for the DF 2nd team. You are correct. Give dat man ah prize! The Conquering Lion of Judah shall break every chain. The new Trinidad James on the block. New Trinidad and Tobago call up Dwane James is the new kid on the block in the National Men’s Senior Team for next Friday’s International Friendly with Panama at the Ato Boldon Stadium. Now attached to North East Stars, the 26-year-old centreback caught the eyes of T&T head coach Stephen Hart with his sterling performances in the T&T Pro League this season. But there is something else about James that will catch your attention. He is the brother of T&T star midfielder Kevin Molino. Both Molino and James have the same father, David Samuel. And even though neither of them carry their father’s surname, they both have the same intentions of making a name for themselves through football. “This call up is a hard work coming to fruition and a dream come true, like it would be to any player,” James told TTFA Media. “I think for all the local based playing from the Pro League who got the call from Mr Hart, it’s a big day for us. I know it’s going to be very difficult because we have to settle in quickly and try to fit into the coach’s plans but this a big opportunity for all of us. And a team like Panama is a strong opponent for us to face on our entry into international football. As players, we look forward to occasions like this,” added the Arima-born James. On his relationship with Molino, James explained: “We have the same fathers but we carry our mother’s surnames. But football is in our blood. He always encourages me and I’ve encouraged him as an older brother also. When he heard that I got called, he was very happy. We spoke this week and he told me to keep working hard and don’t settle for just being selected. 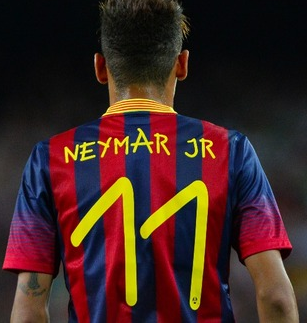 He said this was an opportunity for me to improve my level of play and my career as a footballer. I think we’re both very excited about this and the hard work continues now,” he stated. James has had stints with US clubs Orlando City, Sporting Kansas and Atlanta Silverbacks. While on trial with Kansas along with T&T defender Daneil Cyrus, James scored in a Reserve Match against Chicago Fire in 2011. Molino in return said James has to accelerate his work rate now that he has gotten the nod from Hart. “He’s a hard worker and he’ got his chance. But now he has to work even harder to take advantage of this opportunity. It’s great for any player to earn their first call up to the national team. But Dwane and the other guys who have earned selection have to realize this hard work has only now begun for them,” Molino told TTFA Media. James will join the T&T squad this weekend for the start of training ahead of Friday’s friendly international versus Panama. The Panamanians which will also play Costa Rica in another friendly following the T&T clash, will arrive in Port of Spain on Wednesday. T&T European-based duo Khaleem Hyland and Sheldon Bateau are expected in the country today and will be joined on the weekend by Justin Hoyte and Molino. Panama meantime, are coming with a full strength team for the encounter. Among the players called up include German-based midfielder Armando Cooper of FC St Pauli, veteran forward Luis Tejada of Peruvian club Juan Aurich who is the team’s leading goalscorer with 37 goals in 79 matches, Colombian-based defender Harold Cummings, FC Dallas forward Blas Perez, LA Galaxy goalkeeper Jaime Penedo and another experienced defender Luis Henriquez of Polish club Lech Poznan. The Panama team comprised players based in Germany, Poland, Hungary Mexico, USA, Peru, Uruguay, Colombia, Venezuela, Guatemala, Costa Rica and Panama. Tickets for Friday’s match cost $100 and are available at Fan Club Movietowne (POS, Trincity Mall, Gulf City Mall), All Out Restaurant (QP Oval), Heritage Sports Tobago, Ramsingh's Sportsworld, Couva, Econo Supermart and Kenny's Sports Shops. The real measure of a man's character is what he would do if he knew he would never be found out. DWANE JAMES wants the chance to prove he is more than just Kevin Molino's older brother. The North East Stars utility player is the older half-brother of high-profiled, injured T&T international, Molino. James says he feels no pressure to fill the shoes of his younger brother, thought to be the best Trinidad and Tobago footballer at present. Molino is currently sidelined after picking up a season-ending injury playing for his MLS club Orlando FC. James, originally from Carenage, grew up in Arima and played for Arima Boys RC. After returning from college in Kansas City, Missouri, he played for local professional team Ma Pau, St Ann's Rangers, San Juan Jabloteh and currently North East Stars. James is confident with the ball at his feet and definitely has touches. But, while he has defensive skill, the occasional concentration lapse may not give him a spot as an outright defender. DAMMMN looks like someone who can probably replace Keon Daniel in the mid field. He has a lot of skills. Great work, and nice of Hart to spot him (if indeed it was Hart) and bring him into the National set up! Andre Samuel, who controls all the rights to the phrase "ah love it!!" Dwane James is on an 8-day trial with 31-time Costa Rican Primera División Champions, Deportivo Saprissa. Dwane will be attempting to replace Costa Rican international defender, Heiner Mora, who recently suffered a season ending knee injury. These fellas are real Warriors. Supportin' de Warriors right tru. Dwane James plays for Barrackpore United now. Trinidad and Tobago jump up now! By the time he finished the trials in Costa Rica, it was too late for him to join a Pro League team. He has to wait until January. Meanwhile he's using this stint to keep active and fit. Kevorn Cooper is Molino's half brother so Dwane James might also be related. Dwane will sign for St Anns Rangers in January. Good to hear that. Will be under Angus. Dwane James replaces Mekeil Williams at Guatemalan club, Antigua GFC. Williams is on his way to MLS club, Colorado Rapids. The explanation stating why James didn't sign with Saprissa is intriguing. Saprissa wanted a flank player for the right, but James was considered more of a central defender, hence Saprissa declined. Signed Aubrey David. So the explanation goes. However, Antigua picks James as a like for like replacement for Mekeil. Versatility will get the paycheck. A lot of positive news these days. Good luck to all the guys. I think it's in part due to the success of our NT. Trinidad and Tobago international Dwane Ronaldo James has been signed by Guatemala champions Antigua GFC for the rest of the 2015/16 season with the option to extend longer according to the club. The 27-year-old James opted his first professional overseas stint over a return to North East Stars in the mid-season transfer window (January 29-February 26). “It puts a serious dent on our plans,” said North East Stars team manager Maurice Eligon. However, Eligon explained that plans will go on in rebuilding the team. Meanwhile James’ move to Guatemala became possible after another T&T international defender Mekeil Williams left Antigua GFC this week to link with Colorado Rapids in the Major League Soccer (MLS), according to Antigua. Williams played his last game for Antigua on Sunday. While James, a former North East Stars, San Juan Jabloteh, St. Ann’s Rangers and Ma Pau SC player, last had a stint in T&T’s Super League with Barrackpore United in the final months of 2015. In the 2015 CONCACAF Gold Cup, James, an elder brother of T&T star midfielder Kevin Molino, was used as a 78th substitute for Khaleem Hyland in T&T’s 4-4 draw with Mexico for his only tournament appearance. Antigua GFC, which has qualified for the 2016-17 Scotiabank CONCACAF Champions League, currently occupies the top spot in the 2016 Apertura table with 10 points from four games.